While my sweet friend, Courtney, & I wait for our walkers to go home after school, we talk about FOOD! I think that’s our favorite subject ;) We like to exchange recipes & the other day she was tellin’ me about a recipe I just HAD to make! 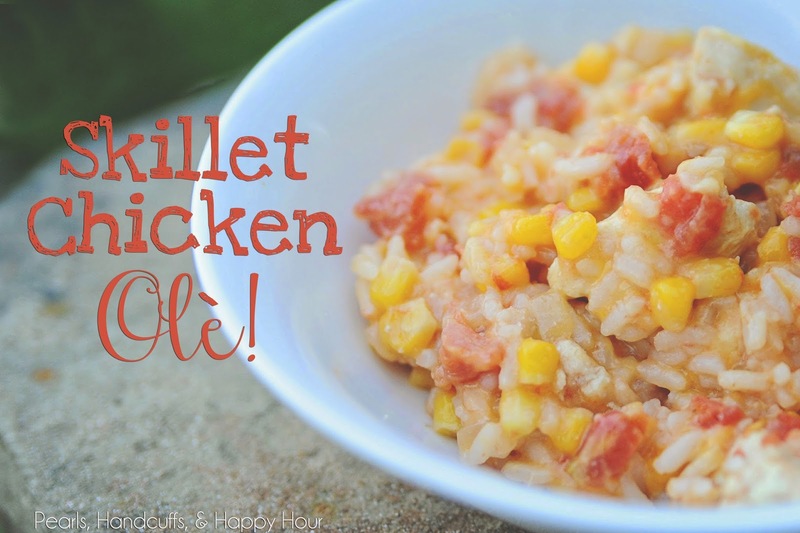 Courtney likes this one because you can make it all in ONE pot!! HA!! I like the way she rolls :) Adam liked it so much he had leftovers the next day and he very RARELY eats leftovers. Thanks for the DELISH recipe Courtney!!! Let's get this skillet party started. Take 2-3 chicken breasts and cut them into bite-sized pieces and chop up your onion. Add olive oil to your skillet and heat on medium high. Add chicken, onion, & garlic. Reduce heat to medium. 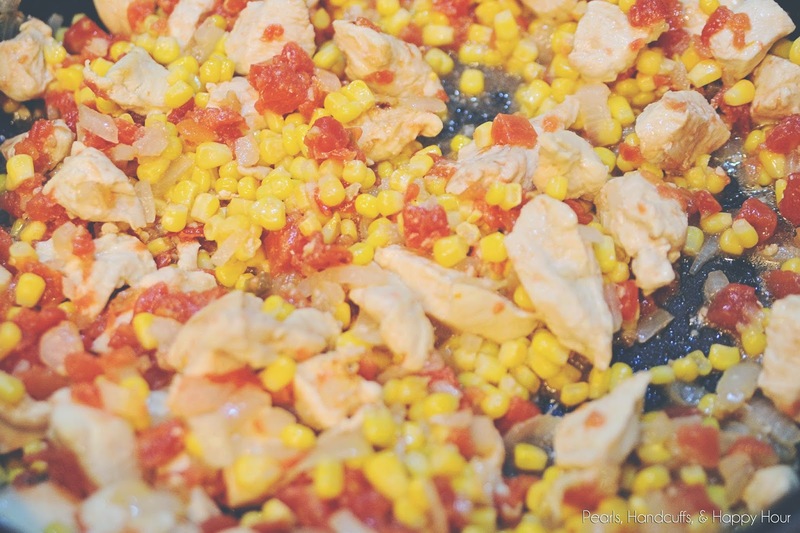 Stir often and simmer until chicken is cooked through. 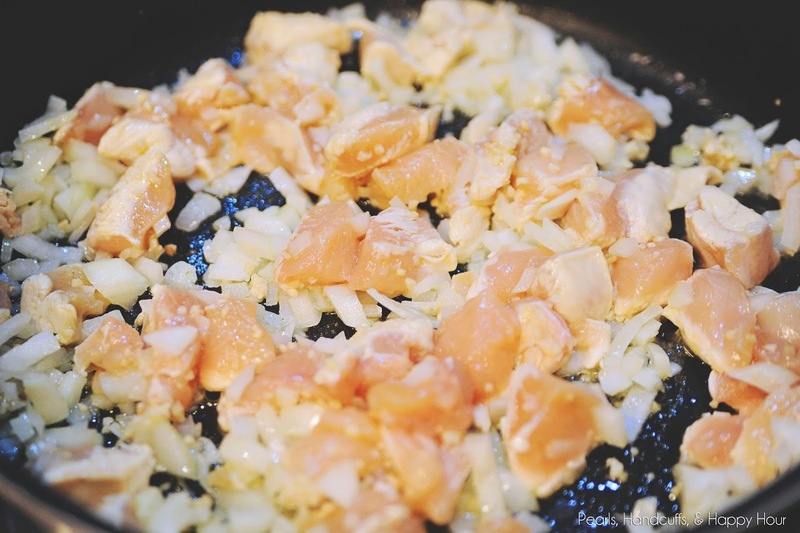 Once the chicken is ready, drain the oil and return chicken/garlic/onion to pan. Turn off heat and add 1 – 1 1/2 cups of cheese....or more. Whatever floats your boat. We used Colby & Monterrey Jack :) Stir until cheese is well blended & melted. Now, if you know how to make rice, kudos to you. I DON’T. SO…I made two bags of boil-in-a-bag rice. Quick & easy. Add the skillet chicken mix to the rice & stir. OLE! SO flippin’ yummy. The corn adds a little sweetness that I wasn’t expecting…m-m-m-m-m. This meal is definitely a keeper!!!! 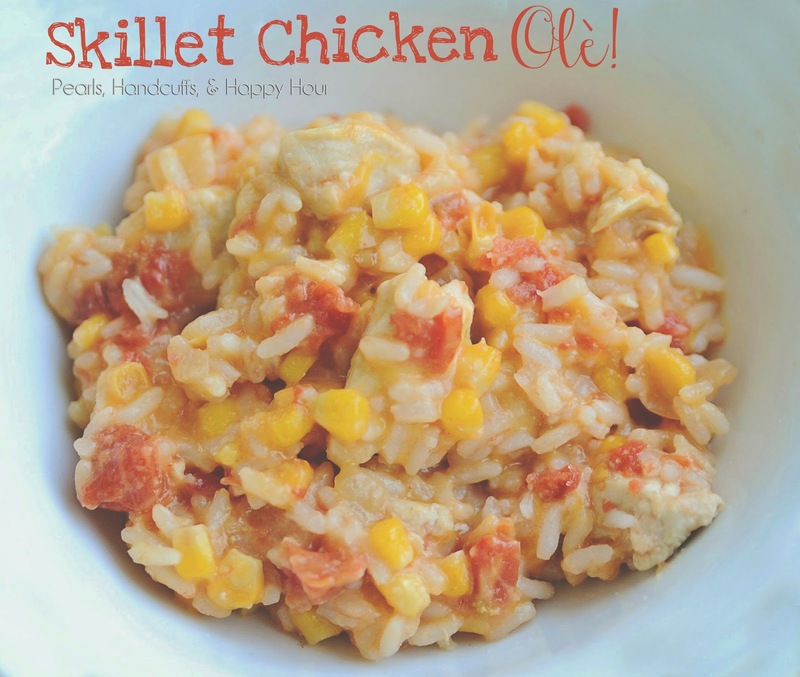 And Courtney was SO right…I love it even more because I can make it all in one skillet! Easy weeknight dinners requiring minimal dirty dishes are my absolute favorite :) I think you might agree, too! 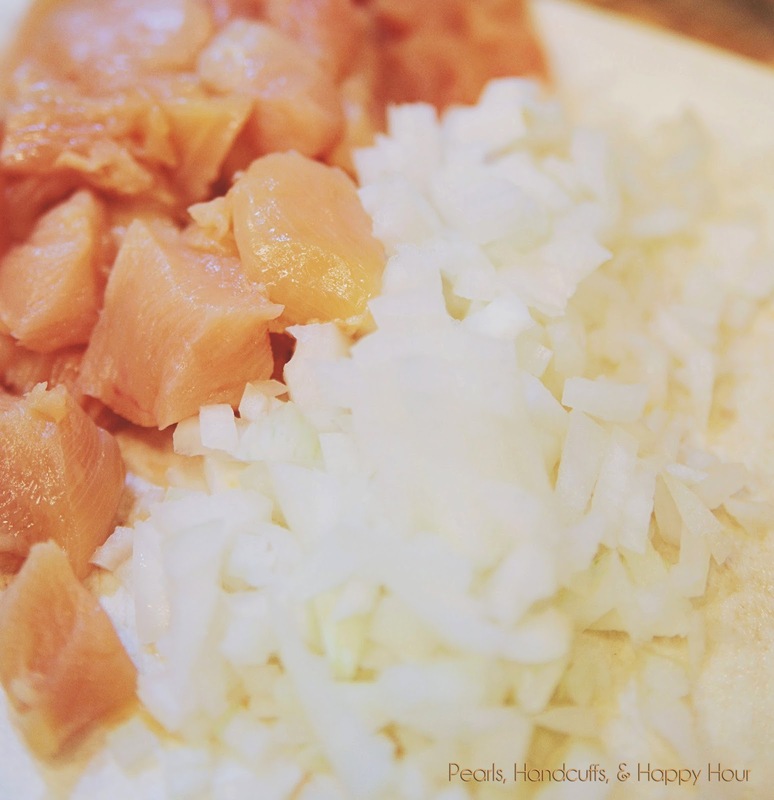 And I'm linking up with Andrea from Momfessionals today for her monthly Recipe Club. There are some good ones over there, so y'all head over and check 'em out! This looks so yummy! Thanks for planning tomorrow's dinner. (I had wondered if your boys ate these delicious meals). Ah! I miss our chats! BTW Ryan told me he doesn't know why I make this so much. HA!